Today the American Sleaze rock band Kickin Valentina releases the first music video and single "Turns Me On" from the upcoming album "Imaginary Creatures", released worldwide by Mighty Music on LP, CD and digital (ex Japan by Bickee Music) on the 11th of August. KICKIN VALENTINA plays loud unapologetic rock n roll. The band is quickly gaining attention while growing a solid fan base across the US and abroad. On August 11th 2017 their second album "Imaginary Creatures" will hit the stores worldwide. The band has once again chosen to work with renowned Producer/Engineer Andy Reilly (Bruce Dickinson, UFO, Asia, The Quireboys) at Muse Productions in Atlanta. In September 2017, KICKIN VALENTINA will support the German band Nitrogods on the "BBQ Roadkill" tour with 9 shows in Germany, and then set out on their own headline tour of Switzerland, Italy, Belgium, Denmark and Sweden. Classic Rock describes the band as "greasy riffs, wailing solos, and black-clad biker men who look like they only come out at night, presumably to roam Sunset Strip in search of good times and blow." 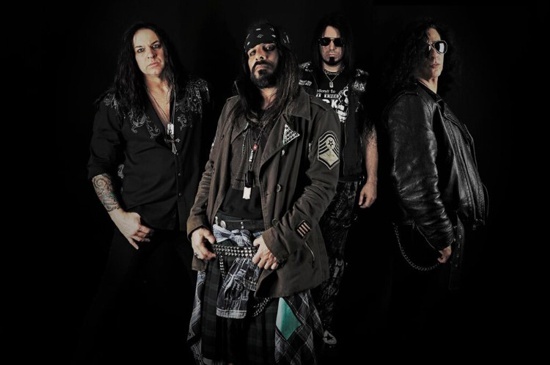 KICKIN VALENTINA was formed in 2013 by guitarist Heber Pampillon and drummer Jimmy Berdine. After meeting vocalist Joe Edwards (whose distinctive style has been described as a "diamond in the dirt"), they began writing and rehearsing, then recruited bassist Chris Taylor to round out the lineup. The band was quickly picked up by Atlanta based indie label Highway 9 Records and released their debut self-titled EP in October 2013. 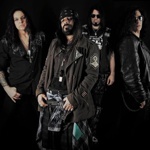 In August 2015 KICKIN VALENTINA signed with Danish label Mighty Music and released their first full length album "Super Atomic" to rave reviews around the world. "We are excited to continue our relationship with Mighty Music for the release of our second full length album "Imaginary Creatures." In 2016 we completed successful tours of the U.S. and Europe in support of our debut album "Super Atomic." We can't wait to play new places and meet our diehard fans around the world in 2017" states bassist Chris Taylor.